Paper Crafts by Candace: Father's Day Projects! Here is what I made for my dad. Anytime I go to my parents house for dinner I always request TACOS because my dads Tacos are the best!! So of course this was perfect for him. 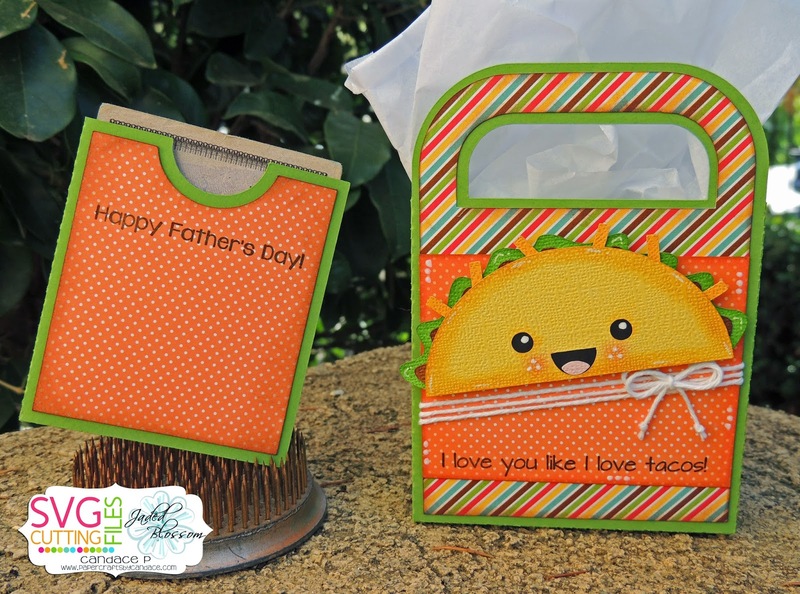 The cute Taco, Handle Bag and Tip Envelope are all from SVG Cutting Files. The Taco sentiment is from Jaded Blossom's Mexican Food. 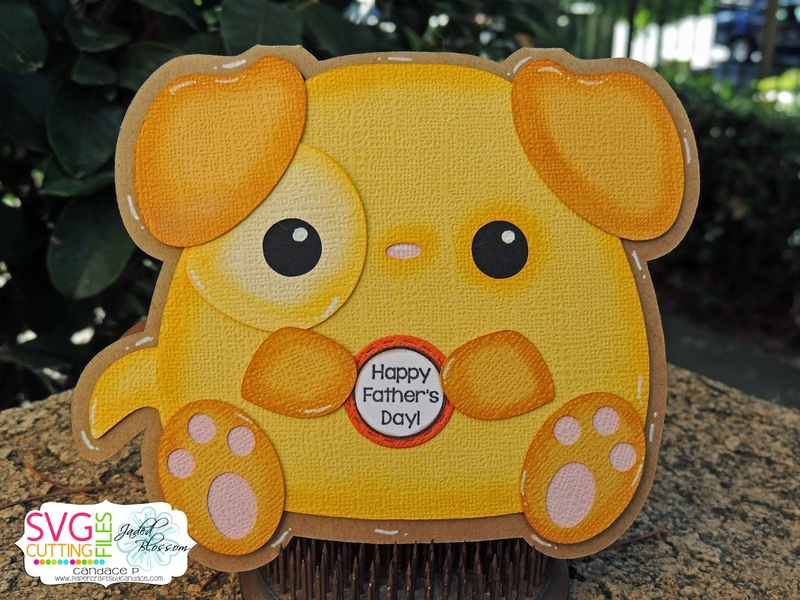 Happy Fathers Day is from Jaded Blossom's Father's Day stamp set. And here is the card I made for my father in law. He got a puppy for christmas so I decided to make him a cute puppy card since I've made a baseball card like 5 years in a row :) This Puppy is also from SVG Cutting Files! Thanks for checking out my projects today!! Adorable!!! I hope they enjoyed their cards. These are way too cute!! I love them both! RIDICULOUSLY CUTE!!! I need that stamp set like now!